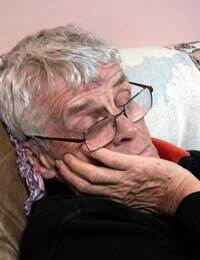 Many people report that their dreams in later years pick up in intensity. They may be more likely to have anxiety dreams or nightmares. This could be due to health concerns, different sleep patterns, or even medications they are taking. This dream begins with you out, either shopping or walking around town, when you suddenly discover you have lost your purse or wallet. You are confused as to where you may have left it. You even consider that perhaps someone stole it, but you can determine that either. You retrace your steps, but never find the purse or wallet. Now you panic – you are out without any money or keys to your car. This dream causes frustration, anxiety and perhaps even anger. The purse or wallet in this dream is symbolic of a change that is going on in your life. This change may be making you feel a sense of loss. It may also make you feel confused, uncertain, or even threatened. This change is not necessarily a result of ageing, but perhaps the loss experienced when a spouse dies, when you retire from a job you have held for a long time or when you move to either a new house or a new city. If you are experiencing this recurring dream, what you need most is support. Make sure you get involved in extracurricular activities. This can help keep you busy, but also provide you with a sense of community. If you have retired, volunteer your services to a worthy cause. Helping others can make you feel better and also help you gain your bearings again. If you have lost a spouse, look for a bereavement class in your neighbourhood to connect with others experiencing a sense of loss as well. If you are lonely, become more involved in your faith or get involved in a hobby or activity that is pleasurable to you. When you suffer a loss, whether it be a person, a job, or a home, you need stability and to reconnect with others. In this dream, you set out with a plan for a certain destination. But, along the way, you may take a detour that gets you off course. Nothing looks familiar and when you try to go back to your original route, it just confuses you further. You may ask for directions, but when you start to follow them, you have suddenly forgotten what they were. You feel as if you are just travelling in circles. This dream is symbolic of missing the big picture because we tend to concentrate on the small things. For example, some people feel the natural need to help others, but may ignore that need. However, by ignoring it, they feel miserable and bored. They may have avoided this desire to help others because they thought that going to school to become a nurse or doctor was too much work. Rather than consider a smaller option, they just chose the big one and then dismissed it. But, until they find a way to help others, they cannot truly feel happy. Try to figure out what your soul is calling you to do and figure out a way – even a small way – to do respond to that call. As we age, we dream of losing things that are important to us. We may be concerned about losing our health or losing someone close to us. We may also be concerned that we have not truly fulfilled our desire to do what we really long to do. If you are afraid of the unknown changes you may be facing, make sure you have a good support system to help you face those changes. If you feel that something in your life is lacking, seek out a way to fit that in your life.